Looking for the perfect Christmas gift for that special wine enthusiast? Look no further: Vintage Cellars has tons of great wine gift ideas. Make sure you check out last week’s wine gifts post, and stay in touch for the next installment! Delia Wine Storage makes unique, artistic wine racks with metal and glass. These racks add a conversation-starting touch to any wine collection. Many are small, and so are ideal for wine lovers in tight spaces. If you know someone whose apartment won’t fit a wine refrigerator, or a wine collector just starting out, a Delia rack might be an ideal choice. But these beautiful wine storage sculptures aren’t limited to those in small spaces. They can also be used to spruce up a kitchen or add an interesting element to an existing wine cellar. Delia makes a wide variety of wine racks, from wine trees to wine tables to wall mounts. Their elegant, modern designs add a unique touch to any wine collection. These artistic storage options are a great wine gift idea for anyone who appreciates functional art. Make sure to check out full line of Delia wine racks. Picture this: you’ve hiked to the top of a forested mountain with your loved one. You spread a blanket and relax to watch the sun set over the gorgeous panorama you’ve worked so hard to see. You reach into your backpack and pull out your water bottle. Something’s missing, right? Life’s great moments deserve to be celebrated with a toast. But those special moments don’t always happen near a kitchen. What’s a hiking, camping, or picnicking wine lover to do? Meet the KleanKanteen. No more pretending your sports drink is Chardonnay or worrying about your wine bottle shattering in your backpack. The KleanKanteen is a high-grade, virtually unbreakable container specifically designed to hold a standard 750 mL bottle of wine. This food-grade stainless steel is free from all toxins. Best of all, it doesn’t retain or impart flavors like a traditional plastic beverage container, so it can carry a Pinot Grigio or a Zinfandel with equal ease. The KleedKanteen Karafe can even be purchased with an insulating tote to keep wines at the correct temperature, even after a long walk on a hot tropical beach. For any wine enthusiast who would love to take her passion outdoors, the KleanKanteen Wine Karafe is the perfect gift. Know a wine purist who rejects “fancy” openers, preferring the subtle artistry and show of skill that comes with opening a bottle with a traditional Sommelier Knife? This professional wine tool and leather case by maker of fine leather Mulholland might be the perfect gift. This ages-old corkscrew design includes a knife, pull, and corkscrew, perfect for opening that bottle that’s been aging for 50 years the way it was meant to be opened. This Sommelier Knife comes encased in a pouch made of Mulholland’s fine leather. For the wine collector who would love a high-quality tool that will last for generations, the Mulholland All-Leather Sommelier Corkscrew and Leather Case is a great gift. Many wine collectors enjoy opening a bottle to drink with a weeknight dinner. But most often, they don’t want to finish the whole bottle. They might try recorking it and stashing it in the refrigerator, but are invariably disappointed by the wine’s quality the next day. After all, there’s no sense in buying and aging fine wine if you’re only going to enjoy two glasses. Meet the Pek Wine Steward, the first device ever made that truly extends the life of an open wine bottle. The Wine Steward works by replacing the air in the top of an open bottle with argon gas, protecting the wine against the harmful effects of oxidation. For any connoisseur, the Wine Steward is an indispensable tool and a great gift. Perfect wine deserves a perfect vessel. There is no better maker of fine glassware than Riedel (contrary to popular belief, “Riedel” rhymes with “needle”), an Austrian company that has been producing glasses and decanters for eleven generations. In that time, the name Riedel has become synonymous with quality. The technical precision of their glass designs, with such characteristics as large bowl sizes for capturing aromas, make Reidel glasses the ideal way to enjoy wine. Reidel makes a variety of glass designs, but one great holiday gift is the Riedel “O” Stemless glasses. Stemless glassware is a trendy and also perfectly usable way to enjoy fine wine. In addition to its of-the-moment appeal, stemless glassware fits perfectly in a dishwasher or picnic basket. Its sturdy design makes it a great gift for grandparents or families with young children. “O” Stemless glassware comes in several varieties specifically made for different wine types, from Pinot to Chardonnay. World-renowned glassware company Riedel also manufactures decanters: large, necked glass bottles that wine is poured into before service, allowing it to aerate. 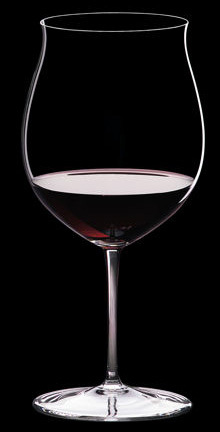 Wine connoisseurs know that allowing the wine to come in contact with air before serving brings out its best flavors. Younger wines and some older wines can greatly benefit from being decanted before they are enjoyed. Besides being functional, Reidel’s decanters are true works of art, offered in designs that range from traditional to modern. Browse the full line of Riedel glassware. A high-tech wine opener is a must-have for any wine collector. Rogar makes professional-grade wine openers that open wine quickly and easily. Those days of floating cork pieces are over. Rogar offers a variety of wine openers. The Champion can be clamped to a bar, and can re-cork your wine bottles as well as open them. The Estate Wine Opener specializes in beauty and functionality, taking an antique design and outfitting it with modern technology. The Professional Wine Opener is crafted to look like an antique corkscrew. It is equipped with a plastic safety barrier around the auger, and automatically ejects the cork once the bottle is open. Hint: Table-mounted openers make great gifts for wine lovers who can never find their bottle opener! Unique, functional, and vintage: wine furniture from Vintage Cellars is the ultimate gift. Wine furniture from the Barrel Collection is made by Fontenay Wood, a company that constructs pieces completely from vintage wine barrels and tanks. Beautiful tables and chairs are composed entirely of the medium for wine aging. The curvature from wine barrels is crafted into elegantly arched table legs and chair backs, and the wood’s natural burgundy stain has been soaked into the grain from years of wine aging. These unique qualities make the furniture a natural conversation starter, and a great place to sit and enjoy a perfect glass. Reclaimed wine barrels can also be made into countertops, doors, floors, or anything the imagination can shape them into. Check back next week for more great gifts for wine lovers from Vintage Cellars. Happy shopping!